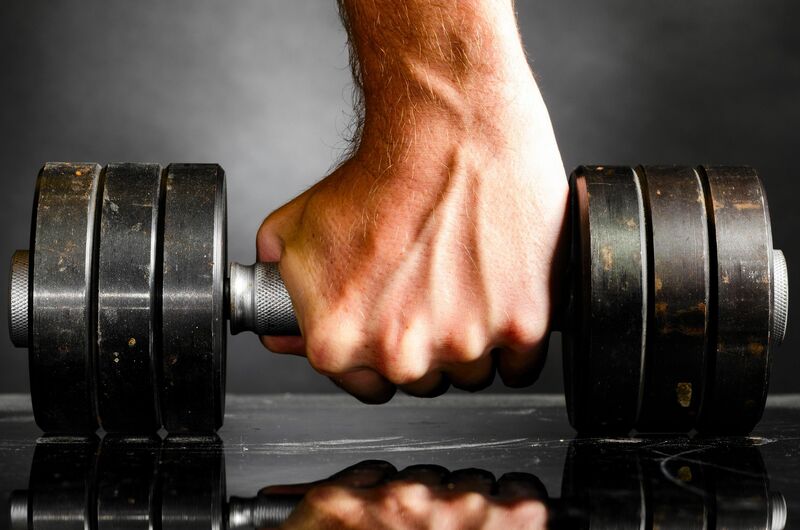 Look Good Feel Good – Build Muscle and Lose Fat Through Resistance Training. Studies show that for adults a key ingredient to losing weight is to build muscle through resistance training (Westcott et al. 2009; Campbell et al. 1994; Pratley et al. 1994). Unlike fat, muscle tissue is active and uses significant amounts of energy leading to an increased body metabolism, burning fat more efficiently during your daily activities and while at rest and sleep. In the end don’t we all want to look good and feel good and what better way to accomplish this goal is to lose some weight and build muscle. Building muscle is important in particular for older adults who have been inactive for a number of years. An inactive lifestyle results in a double whammy of losing muscle while at the same time gaining weight. Studies have shown that inactive adults in their 30s and 40s lose .5 pounds of muscle per year and that this doubles to 1 pound per year for inactive adults over 50. At the same time inactive adults gain on average 1.5 pounds of fat per year between the ages of 20 and 50. The result; a 50 year old has lost 15 pounds of muscle and added 45 pounds of fat, for a 60 pound reversal in body composition (Wolfe 2006; Keys et al. 1973). Did you ever wonder where that belly came from? Why not just diet to lose weight? It’s true dieting decreases the amount of calories consumed each day, which can help maintain or lose weight, however a diet can also result in lose of muscle among inactive adults. Muscle needs nutrition to grow and many diets restrict certain foods needed by the body to grow and maintain muscle. Remaining inactive while losing weight just weakens the body over time. How does resistance training help me lose weight? Resistance training increases the number of calories burned each day, decreasing weight while replacing fat with lien muscle. One study found that over a 3 month training period 3 pounds of muscle replaced 4 pounds of fat, while participants in the study ate 250 additional calories per day (Campbell et al. 1994; Pratley et al. 1994). Eating a healthy diet and reducing your caloric intake will not only build additional muscle but will speed the rate of fat lose. I think we can all agree that muscle clearly looks better on a body than fat. Additionally, resistance training helps to reduce resting blood pressure, improve blood lipid profiles, enhance post-coronary performance, increase bone density, decrease physical discomfort, enhance mental health and reverse physical frailty (Strength Training Past 50, Wayne Westcott and Thomas Baechle). The health benefits provided through resistance training, by preventing or relieving disease, will make you feel good overall and help you perform better in your day-to-day life. In summary, if you’re looking to feel good and look good, build muscle!